It's about time February - thanks for showing up! Winter time starts to drag on about now and I've decided to share a few of my favorite things from time to time - mostly to keep myself entertained during this last "full" month of frigid cold. 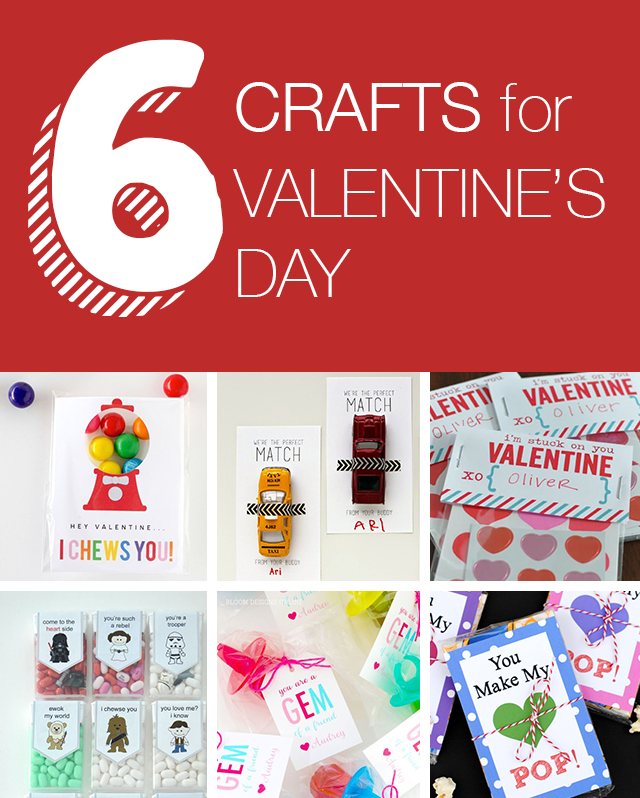 With Valentine's Day approaching, I definitely wish I was a more crafty mom. The truth is, craftiness isn't exactly in my blood. Sadee has been telling me for a couple weeks that we need to give hearts to our friends. She's excited about this. In honor of trying to create a little more magic for my kiddos + heart day, here are a few of my favorite EASY & cute Valentine's. I'm especially #allhearteyes for any Star Wars Valentine sayings... I'm sorry - but, they are sooooo punny (fun + pun = punny). Another one of my favorites about this list is that they include my kids' favorite things - gum, cars, stickers, tic-tacs, candy rings and popcorn. Now, if only I can wrap my head around physically making these cute treats instead of just writing about them.